Here’s a further continuation of the progressive-libertarian debate between my cousin and I. For your reference, before I leave I wanted to get this out to you. 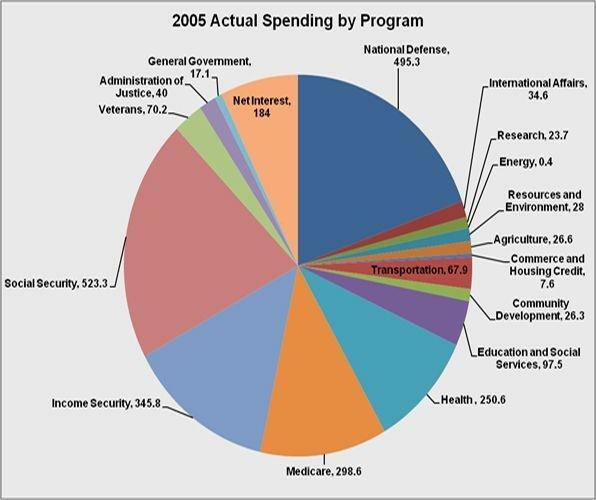 It’s easy to look at & target the defense spending. Many democrats, like yourself, love to target that. I agree, let’s start by de-funding the TSA!! I’m all for cuts, including the farm program, which directly affects me & my family. But he who has the biggest military gets to print their own money & be the reserve currency. If we lose that, you will lose by default, all of your big expenses—the ones that matter like medicare, social security, health care & welfare payments(sorry that’s not the politically correct word, it’s “income security” nowadays)!!! Which I’m fine with too. What I’m getting at is you can’t have your cake & eat it too! That is the fundamental reason why I’m so against the policies of this administration. “kicking the can politics” doesn’t work. I am planning a more detailed response to your longer email but I still want you to be thinking about where to target the cuts, besides the democratic target of military/defense, it’s an easy scapegoat that doesn’t address the biggest problem we are facing as a country. The pie chart is very helpful. I take your point that military spending cannot be the only way to reduce the budget, and I certainly agree that we need a strong military – indeed, that seems to be the very reason that we have a federal government in the first place, even going back to the “Federalist Papers.” And I agree with you about cutting the cost of entitlements. As always with policy, the devil is in the details. Part of the reason that progressives like myself do not trust people on the far right is that they seem unwilling to engage in reform that would cut costs without removing those elements of civil society that I mentioned previously. Two quick examples: When Bush wanted to return a check to everyone with the government surplus that he inherited (democrats can balance a budget), Paul O’Neill, a fairly conservative business man and economic adviser to G.W. suggested taking some of that money and making social security solvent far into the future, while still giving tax payers a check in the mail. This appeal was ignored (see Ron Suskind’s The Price of Loyalty: George Bush, the White House, and the Education of Paul O’Neill: Simon and Schuster, 2004). Or, even when the CBO claims that repealing the new health care law would increase the deficit and leave millions more uninsured, those on the right still want to repeal it (http://www.salon.com/news/feature/2011/01/06/healthcare_budget_deficit). On the other hand, those on the right don’t trust progressives like myself because we seem unwilling to keep a strong military and cut spending on entitlements. But my understanding of politics is that everything is achieved in compromise, and the only way to intelligently cut these sources of debt is to cut the fat without cutting the ways in which things like social security, unemployment insurance, a basic level of education and health care for all create a humane society in which we can also engage in economic endeavors that contribute to the common good. This kind of work doesn’t fit well with ideologies or slogans, and happens slowly in compromise and prudent judgement on a myriad of different things – and to be honest, this is why I supported Obama and why I still support him. Basically, I think it comes down to a question of what kind of society we want to create – and for me, as a Catholic Christian, I believe this is a combination of ethical, economic, and policy answers; not just economics. So I take your point that I can’t have my cake and eat it too, but I would argue that the same applies on both extremes. You can’t keep funding multiple wars across the globe and have a humane and decent society at home without paying for it. Well, I’ve given you another long response (I’m an academic and it’s summer). I’ll try to hold off for a while, but I do think we are getting at the core issues. p.s. I’m glad you brought up farm subsidies – that is something I’ve been meaning to ask you about, since it so closely effects your/our families. I’d love to hear more at some point. Should Christians Pray for Osama Bin Laden’s Soul?